This is Varun, from India, welcome to My Mind’s Journal where I share my experiences in a different style. I believe that everything around us is fascinating in its own way and so are we. With our capabilities and desire to do something new, we can achieve anything in life. This blog is not just a write-up but a large canvas where I paint the picture of my experiences. There are no lies, no twists, no drama, just a story to tell, that keeps going on and on with new lessons learnt along the way. And it’s fun to live life this way, the way where you live it to the fullest. Read my posts to know more about me! Excellent innovation.. Life is a journey in which we are at times put through situations which at the time can seem like harsh lessons.. But within my experience we are never given those lessons without we learn sometime from them.. through those experiences, we can then pass on our gained knowledge and insights as to help others in similar situations.. Keep sharing your gifts..
I’ll immediately grab your rss feed as I can not to find your e-mail subscription link or newsletter service. Do you have any? Kindly allow me realize in order that I could subscribe. Thanks. Thank you for following my blog, Steph. Thank you for visiting and following me! 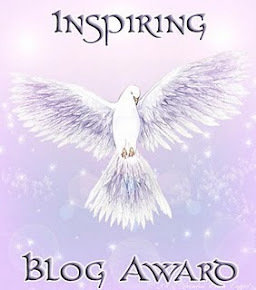 Glad to have found your blog, I will be reading it very often!!! Great blog!! recommendedblogs.wordpress.com is something you should check out. They will accept any type of blog or post and they will recommend it for you. 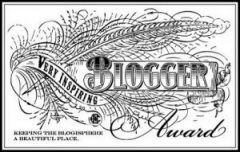 I think I’ve got to learn a lot from your wondrous blog !! Starting straightway !!! Hi Varun, thanks for visiting my blog, looking forward to read your blogs too. I’m still learning from you, while I’m improving myself. I certainly love reading all that is written on your blog.Keep the tips coming. I loved it! has been placed, please e-mail me at: christihannah@gmail. you as the source. Many thanks. Your style is very unique in comparison to other people I have read stuff from. I appreciate you for posting when you’ve got the opportunity, Guess I will just book mark this site. Great site you have here but I was wondering if you knew of any user discussion forums that cover the same topics discussed here? I’d really love to be a part of online community where I can get opinions from other knowledgeable individuals that share the same interest. If you have any suggestions, please let me know. Many thanks! I just visited your blog because I liked something you said on marci, mental health and more blog. You said meditation can help with mental conditions. I like that because I don’t believe in medicine or mental illness as the label or definition of my experiences. I am not “positive” like you, but I appreciate your thoughts here and on Facebook (at a glance, but enough for me). Thanks. I will try to meditate more. I just want to expand the understanding of meditation. Once again, Thanks for stopping by! Thanks. I know it’s time to do nothing, and not fight yourself, if a thought comes give attention and let go. Time to let go. Time to focus on space, silence, or one’s breath. Thanks again.